Black Rhino Highland is the spiritual successor of Black Rhino Sidewinder off-road 4x4 and SUV wheel. Black Rhino Highland is the spiritual successor of Black Rhino Sidewinder off-road 4x4 and SUV wheel. For years the Sidewinder had dominated 4x4’s with popularity with its distinct bowled multi-spoke design. The Highland takes a step further in refining this popular style with broadened spokes met with CNC machined edges that latch onto the rims edge with a bold hex bolt. 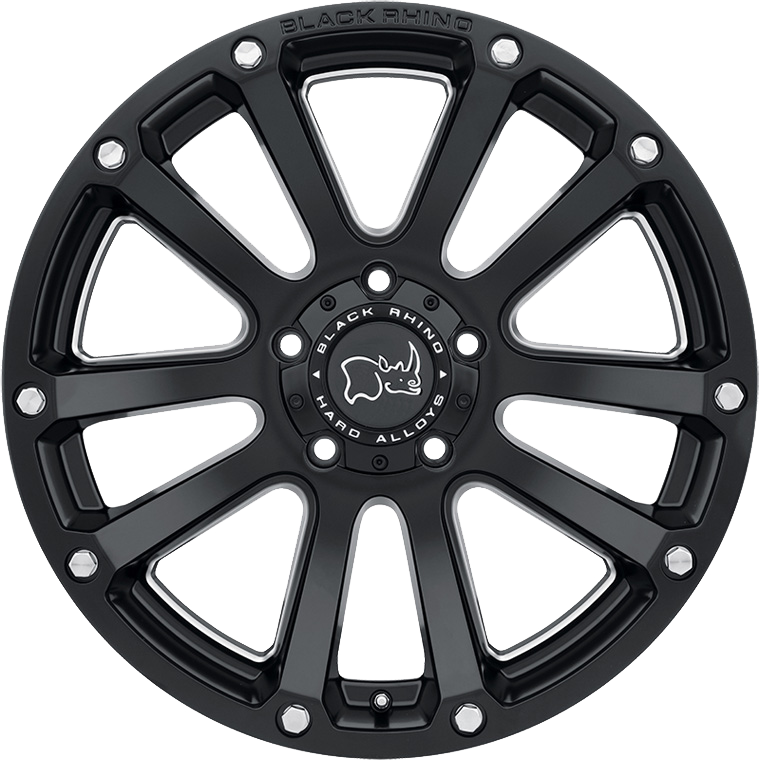 The Black Rhino logo is proudly carved into the wheel edge as well and the wheel is updated with a new sleek centre cap for 2018. The Highland is available in 17, 18 and 20 inch with offset of +12, 0, and -12 offsets. The aftermarket wheel comes in 5 and 6 lug PCD’s available in a Matte Black with CNC machined surfaces and Silver bolts.